Have you ever wondered if there's life on other planets or how a star is made? Take the adventure of a lifetime at home or in school by learning all about celestial objects, outer space, and the universe with fun facts and activities. Astronomy is a valuable type of science that studies the universe and the natural objects in space using science and research. No one knows the exact size of the universe, but it is basically everything you can touch, see, detect, or measure with your eyes or other tools. The universe is made up of billions of galaxies, or areas, that each include billions of stars and the space between these things. Throughout history, astronomers have questioned and explored the universe with whatever tools they had to discover how it impacts life on Earth. Some have made amazing contributions. In the late 1400s and early 1500s, before there were high-powered telescopes, Copernicus guessed that the Earth was not the center of the universe. He believed the sun had something to do with how the planets moved. Known as the "Father of Observational Astronomy," Galileo made important discoveries watching the skies and writing down what he saw. 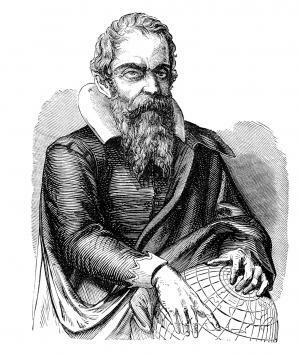 By observing, or watching, space he discovered the four moons of of the planet Jupiter. Herschel discovered five comets, which sort of look like shooting stars, in the late 1700s and early 1800s. She even had one named after her, the 35P Herschel-Rigollet Comet. A Stellar Astronomer, or person who studies stars, Cannon came up with a way to organize stars based on their temperatures. She worked in the late 1800s and early 1900s. Anyone can explore the universe from your own living room using the natural world and common household supplies. Print out a star wheel and align it to your location to find constellations, or shapes, in the night sky. Safely observe the sun during the day by making a simple pinhole projector or wearing welder's glasses. Use materials from your kitchen like a glass jar and aluminum foil to create a constellation jar or other constellation science projects. Play space-inspired games to get in the exploratory mood. Kids of any age can use balloons and aluminum foil to create a star and then a black hole in this fun interactive experiment. You can explore the relationship between weight and size. Blow up the latex balloon with your mouth so it is about 12 inches or more around and tie. If the helium balloon has a string, remove it without cutting the balloon. Gently wrap each balloon in one sheet of aluminum foil at a time. You want to completely cover the balloons with foil to create two stars. Measure around the outside of each balloon and weigh it. Write both measurements for each "star." Gently push with your hands on the latex balloon to feel how it pushes back. Do the same with the helium balloon. Which one pushes back the most? Write down your answer. Write down your hypothesis, or guess, about what will happen to each balloon and the foil when you pop it. Pop each balloon with the scissors, but don't crush the foil. Write down what happens to each "star." Using one balloon at a time, lightly put pressure on the foil so it shrinks a little. Measure and weigh it, and then write the results. Crush the foil from each "star" into the smallest ball you can form with your hands. Measure and weigh the "star," and then write the results. Look at your observations, or what you wrote down. Did the weight change at all as the size changed? Were there differences in how each "star" changed? Since kids love discovery and exploration, there are many programs that help you learn about space. 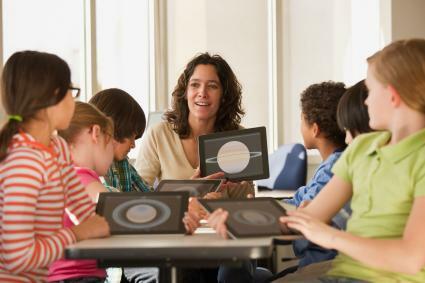 From studying at home to going to space camp, try some of these ideas. Start by learning about the solar system you live in and its planets. Then you can start to understand tougher topics like the life cycle of a star with the help of an astronomy homeschool curriculum. Take learning one step further and explore careers in space science to see how you could be an astronomer one day. Space camps can be day programs or overnight experiences with a broad or specific focus. US Space and Rocket Center Space Camp: Adult, child, and family overnight or day camp experiences are available in the Huntsville, Alabama location. Other camp offerings include the subjects of aviation, robotics, and cyber space. NASA Kennedy Space Center's Camp Kennedy: For youth in grades two to eleven, this day camp is a thrilling adventure in learning about space. Various one-week sessions are available. 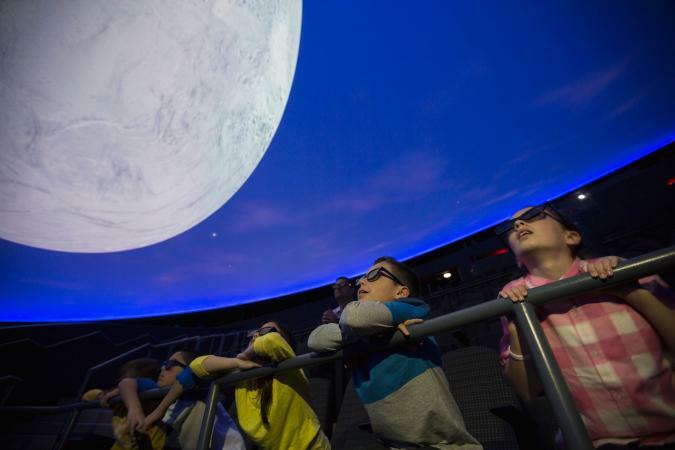 Kansas Cosmosphere and Space Center: Kids in elementary, middle, and high school or international students enjoy space day camp or overnight programs, each with a specific focus like Mars or the moon. Resources like articles, games, books, and videos created by astronomers, scientists, and teachers give kids a comprehensive and fun look at this branch of science. If you want to learn more, these are great places to start. NASA for Kids features sections for kids in grades two to four, five to eight, or nine to 12 with great resources including news articles, facts, games, activities, and a picture dictionary. Kids ages five to 13 can visit StarChild for Young Astronomers to learn about the solar system, galaxy, and universe they live in with articles and pictures. The American Museum of Natural History's Ology website features an astronomy channel that lets kids discover more about planets, constellations, gravity, and other mysteries of space through games, videos, and hands-on activities. Recommended for grades two to six, Seymour Simon's award winning Earth: Our Place in Space looks at the special relationship between Earth, the Sun, and the Moon. Margaret and the Moon: How Margaret Hamilton Saved the First Lunar Landing by Dean Robbins explores the life of this female software engineer who was a pioneer in space travel. Check out the Kids Cosmos Book List, compiled by a group of amateur astronomers, to find more great astronomy reads. Get out of this world without ever leaving the planet. Astronomy lessons and activities incorporate science and critical thinking, and they open your imagination to new adventures.